The First Dead Heat at Doncaster St Leger. Joanne Major on The ‘Crack’ Yorkshire Nag vs the Newmarket ‘Pet' - a horse racing classic revisited. 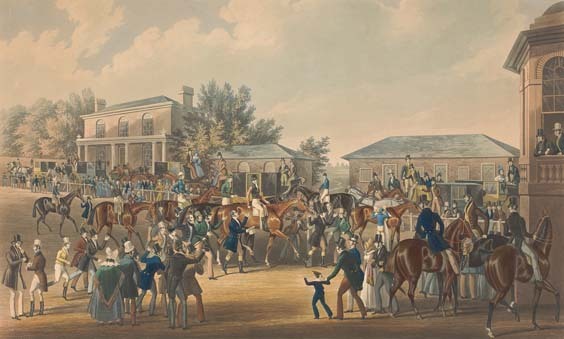 The five races which make up the British ‘Classics’ in the horse racing calendar form three ‘legs’: the 1,000 and 2,000 Guineas at Newmarket is the first, the Oaks and the Derby at Epsom form the second and the third and the final leg is the St Leger at Doncaster, a race held annually almost without fail since 1776 and run over 1 mile 6½ furlongs. 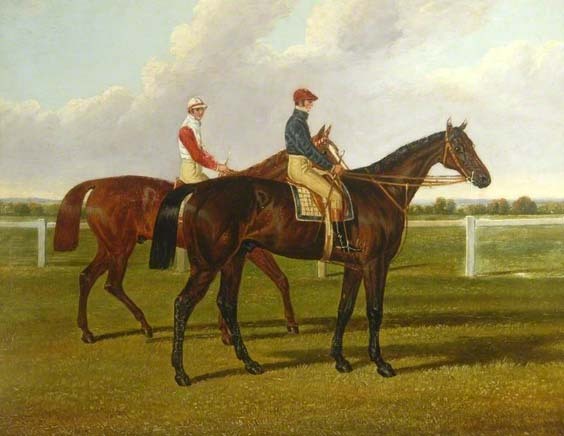 At the time of the 1839 Doncaster St Leger, Charles the Twelfth was a tall and leggy three-year-old thoroughbred racehorse owned by Major Nicholas Yarburgh of Heslington Hall in North Yorkshire. The young colt’s first race – which he had won – had taken place just two months earlier at Aintree. Charles XII in his stable by John Frederick Herring. 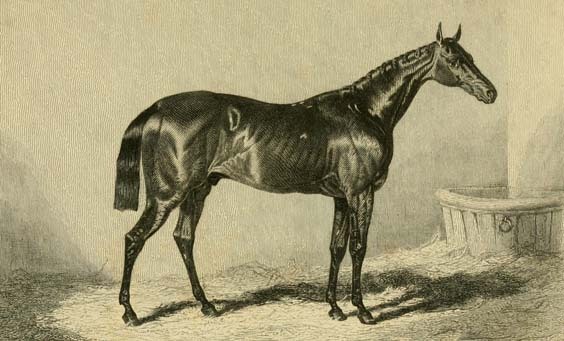 Engraving from The pictorial gallery of English race horses by George Tattersall, 1850. The St Leger Stakes ran on Tuesday 17th September in 1839 and 14 horses contested the race. With odds of 6/4, Charles the Twelfth was an early favourite on the day. He was ridden by his trainer John Scott’s brother, William, or Bill as he was better known. The two brothers had stables at Malton (John Scott was known as the ‘Wizard of the North’) and while Bill was a brilliant jockey, he was also known as a heavy drinker. It was a failing which occasionally impacted on his performance, although this had not affected the betting on Charles the Twelfth. Neither had the conditions that day. The summer months had been a washout and the rainfall in September was particularly high with severe flooding in parts of the country. Consequently, the St Leger racecourse was heavy going in places and the cold weather resulted in a lower turnout of racegoers than usual but those who made the journey were rewarded with one of the most thrilling finishes to a race ever seen. At 4 o’clock the horses lined up on the starting line and were off, Charles the Twelfth taking an early lead with Bloomsbury, Bolus and then Euclid, the Newmarket ‘Pet’ behind him. They thundered to the hill where two backmarkers retired and then, on the other side, Bloomsbury and Bolus dropped out leaving Euclid in second place behind Charles the Twelfth. The Dolphin was now third, and Malvolio and The Provost were vying neck-and-neck for fourth place as they ran past the Red House where the ground was heavy. Race for the Great St Leger Stakes – Joy & Desperation! As they turned in to the straight The Dolphin gave up, promoting Malvolio to third, but not for long as he too failed to go the distance. The Provost now ran in third place but it was the action ahead that was exciting the crowds for Euclid was running Charles the Twelfth a very close second. Euclid’s jockey, Patrick Conolly, drove him too close to the rails, preventing him from drawing alongside the race leader until the last straight where, as they approached the finish, the two horses matched each other stride-for-stride as they came over they came over the line. The judge declared the result a dead heat, the first ever seen at the St Leger. The owners agreed to a run-off which took place after the Four-year-old Stakes; betting on Charles the Twelfth was again at 6/4, and was 6/5 on Euclid. Everyone held their breath as the deciding race began: would ‘the north’ triumph over ‘the south’? Euclid took the lead and held on to it but Bill Scott, on Charles the Twelfth, kept his head and played a canny game. The horses were both tired and Scott kept back until the straight, when he challenged. In the closing stages the two racehorses were once again neck and neck and, for a heartbeat, it looked as though the result would – once again – be a dead heat… but Bill Scott had the best of it and Charles Twelfth won, by a head. The north was triumphant! Major Yarburgh sold Charles the Twelfth before the 1840 season to a Scottish businessman named Andrew Johnstone and the horse went on to have an illustrious racing career. In total, and including his St Leger win, Charles the Twelfth won 19 of the 34 races he ran. Bill Scott remains the leading St Leger Stakes jockey with nine wins and his brother John Scott holds the record as the leading trainer to this day, as 16 of his horses passed the winning post first. This year’s St Leger Festival is held at Doncaster racecourse over the 13th to 16th September, culminating with the St Leger Stakes. There has been a second dead-heat finish at the race, in 1850. It remains to be seen if 2017 will produce a third.